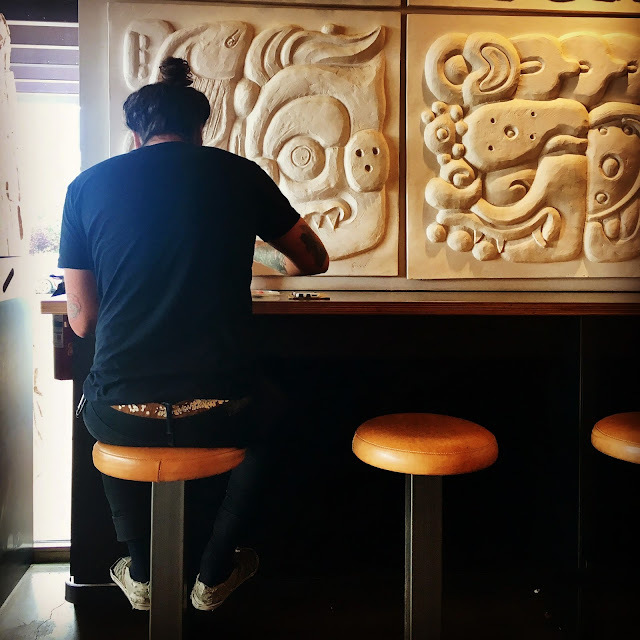 I captured this guy, with his man bun, tattered sneakers, tattered belt, and tattered tattoos, in the Chipotle in Flagstaff, Arizona. Not everyone can pull off the man bun. It doesn't work on any of these guys. 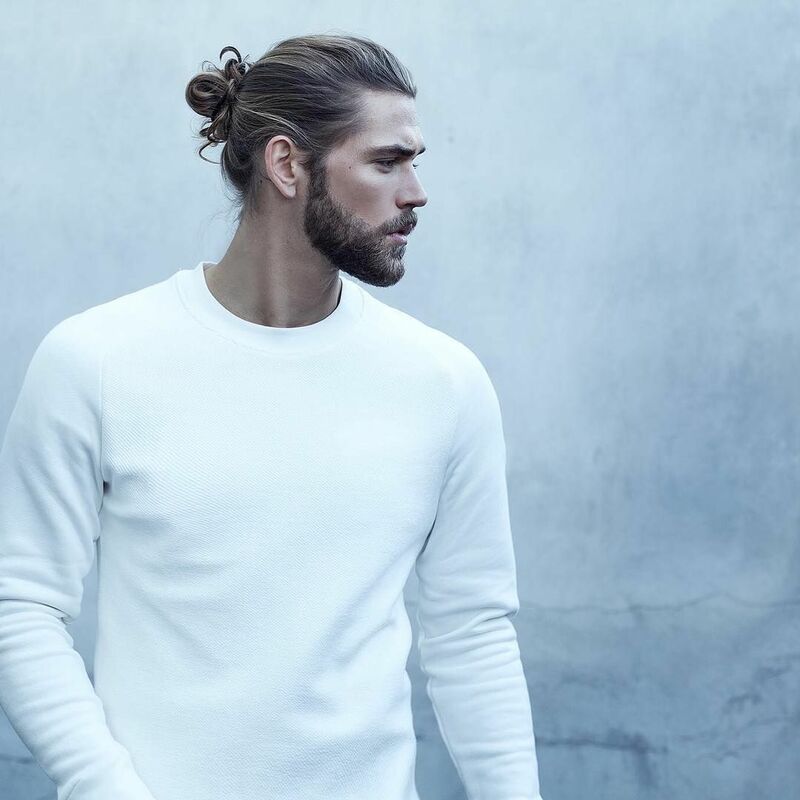 But Ben Dahlhaus? I can look at him and his man bun all day long.